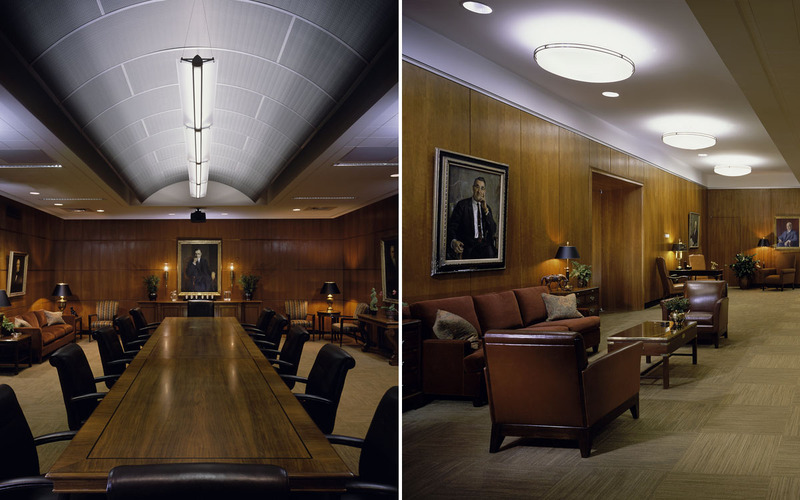 National Life Group of Montpelier, VT commissioned TruexCullins to assist in the modernization of their cafeteria, lobby and executive office areas. 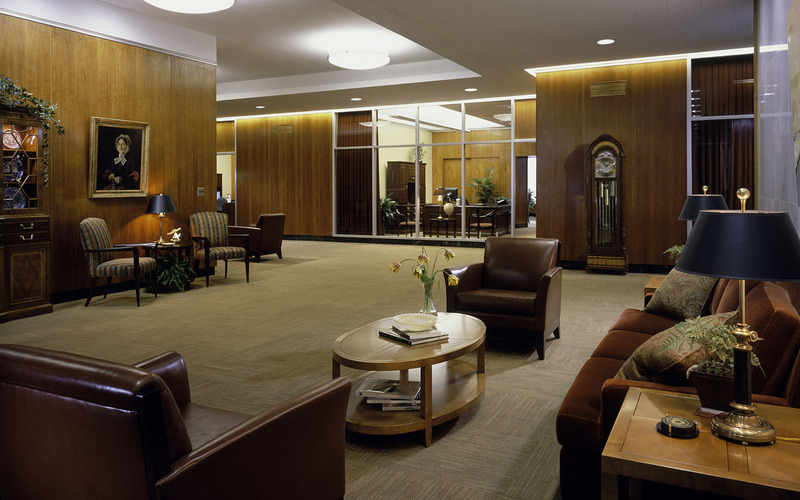 Built in 1958, the original building is a classic example of post-war Modern Architecture built to the highest quality standards. 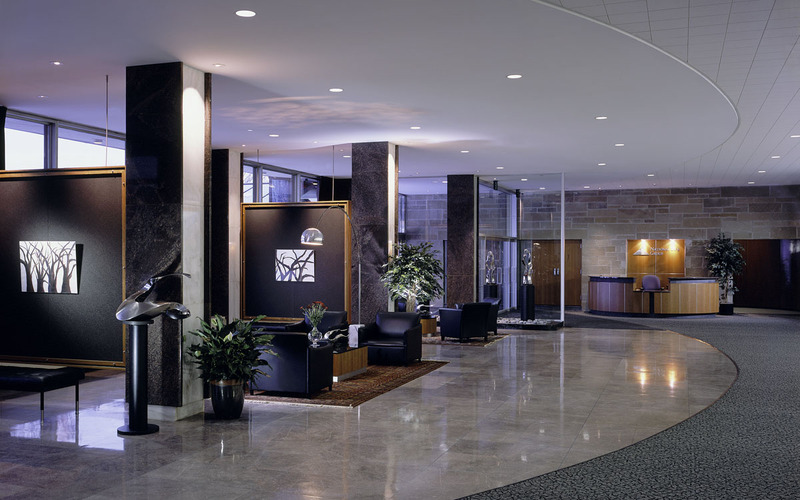 TruexCullins assisted National Life in improving lighting, security, sprinkler and life safety issues, while the TruexCullins Interiors Studio provided new furnishings, finishes and lighting fixtures to enhance the architectural experience of these spaces.